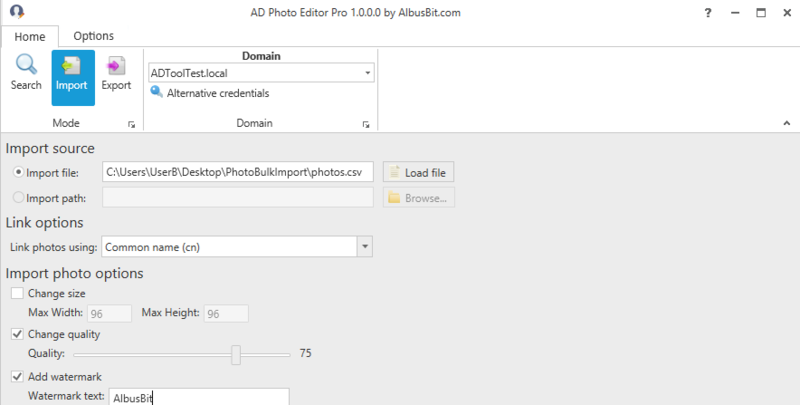 AD Photo Editor allows you to upload user and contact photos in the Active Directory. 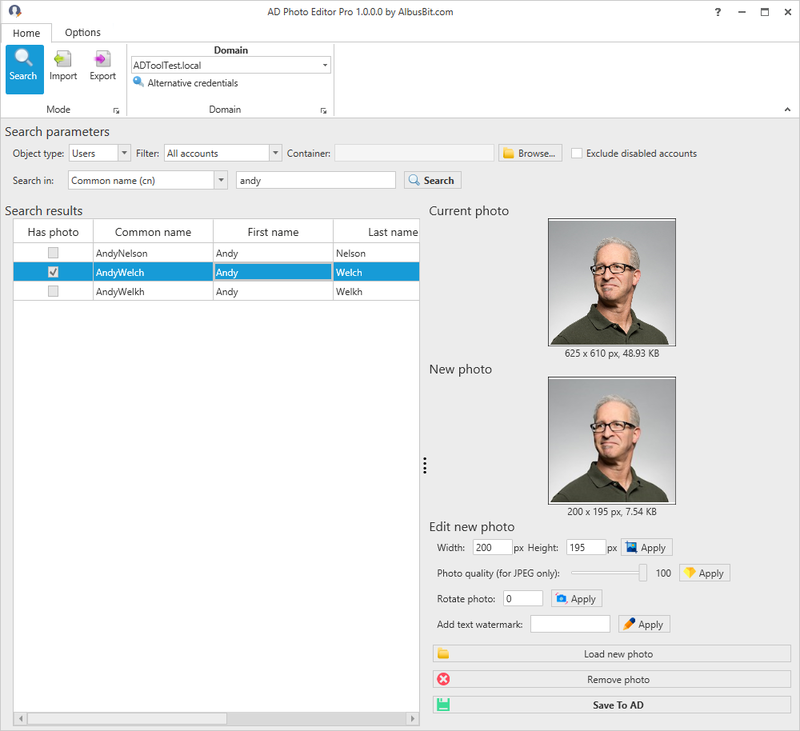 Photos can be saved in thumbnailPhoto or jpegPhoto attributes from where they can then be used with Outlook emails, Outlook contacts, Global Address Lists, SharePoint, Lync, Skype for Business and other third-party applications. The Free version allows you to quickly find accounts and edit photos while the Pro version also makes it easy to import and export large numbers of photos. 1. Find the user or contact account that you want to edit. 2. Load a new photo or edit the current photo. 3. Press 'Save to Active Directory' and it’s all finished. 1. Plan how you want to link photos with either user or contact accounts. 2. 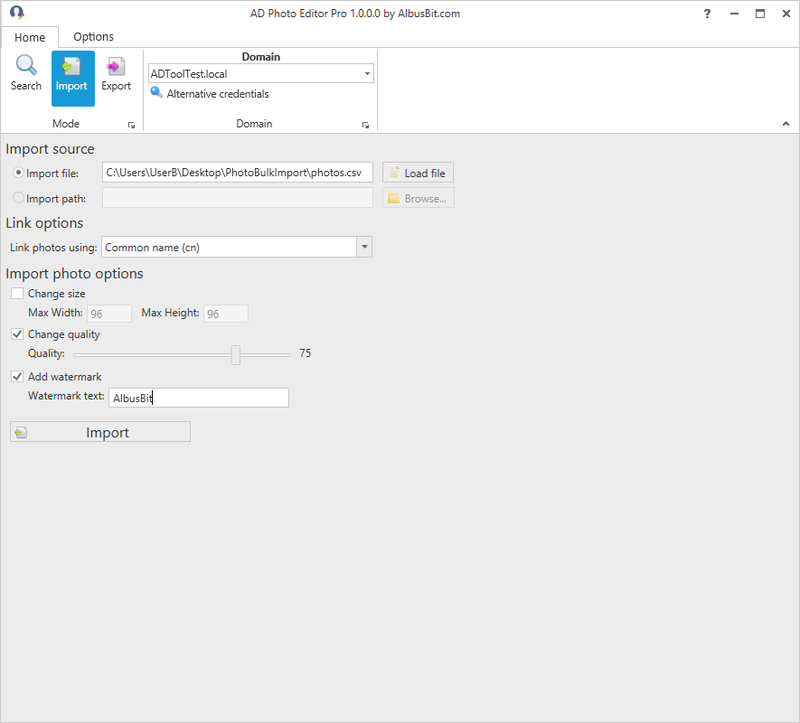 Depending on the option selected above, use the photos to prepare import file or import folder. 3. Select import source, search options and photo options. 4. Press 'Import' and it’s all finished. The interface is easy to use so you don’t need to be an expert. Select which option you want to use for reading and writing photos. Add additional custom attributes for user searching and import account linking. Object type (user or contact). Show all accounts, or only show accounts with/without photos. Search in the entire domain or specific containers. Search by common name, username, email, employee id or custom attribute. 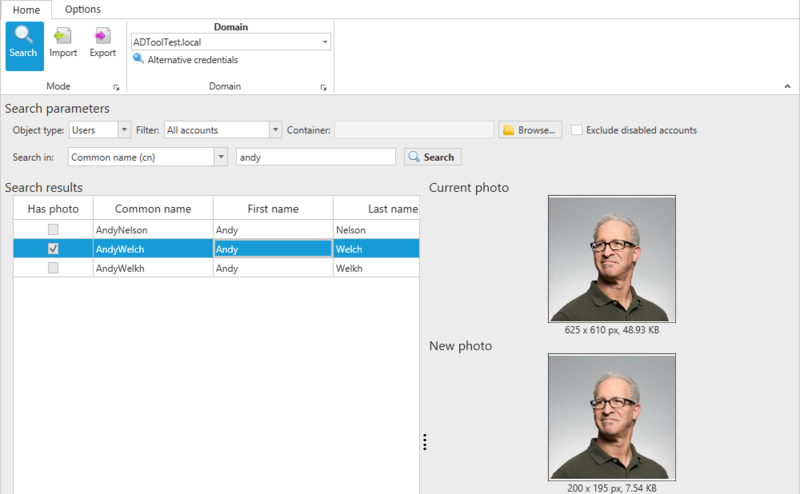 Import and link photos with accounts using the CSV file with the account identifier and photo path mapping. Alternatively, use the photo file name as account identifier. Configure the account link attribute using built-in attributes or your custom attributes. Specify import photo pre-import processing options if needed. Export photos from Active Directory containers to your specified directory. Change photo dimensions while maintaining aspect ratio. Rotate and change quality for JPEG photos to meet size limit restrictions. Add your company custom watermark. Change which attribute will be used for photo manipulations (thumbnailPhoto or jpegPhoto). Set photo size limitations to avoid accidentally uploading bigger photos. Add custom attributes for account searching and linking. Select the domain you want from the list of available domains. 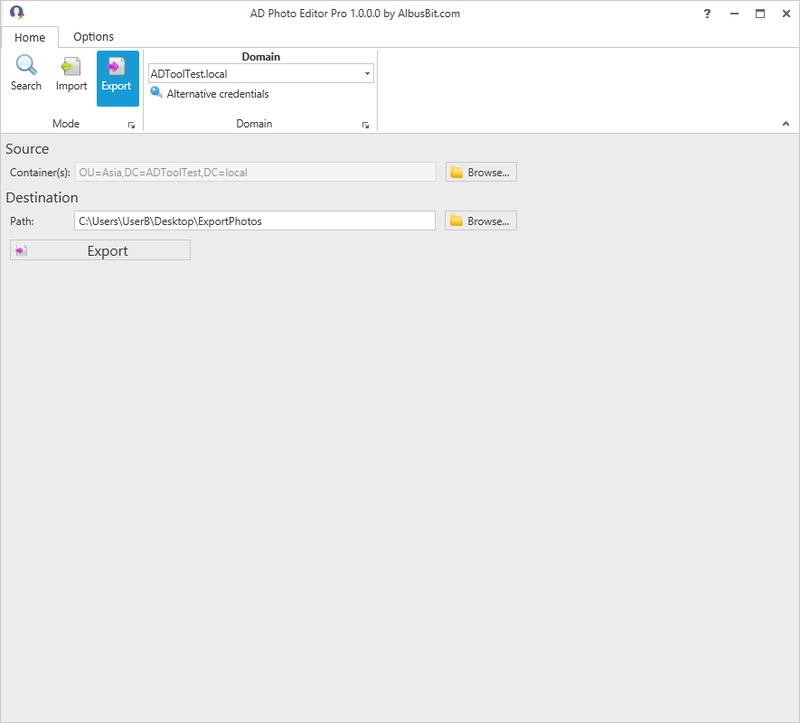 Use your current user or set alternative credentials for searching and saving photo attributes.